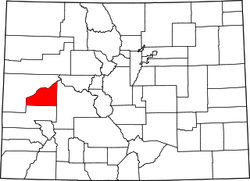 Families Plus is located in Delta County, Colorado—an area comprised of rivers, verdant valleys, mesas, and mountains that support a variety of agricultural and recreational opportunities. The area produces many unique products, including prized wines, organic produce, and its world famous Olathe sweet corn. Like these valuable commodities, Families Plus can also be considered a unique homegrown product that delights, nourishes, and gratifies those who encounter us.